Find the best WordPress hosting provider with complete statistics and analysis. We test before ranking. WPArena’s recommendations are based on several tests from performance to support and price comparisons. This is the most complete “Recommended WordPress Hosting” page ever created for WordPress users. If you have any recommendations regarding WordPress hosting or want us to know anything important about WordPress hosting or found any bug reports or outdated information on this page, then please contact us. There are a lot of WordPress hosting companies, but we have always recommended InMotion hosting as our #1 cheap WordPress hosting provider, and we still love and use InMotion for many of our projects. We are conducting some serious testing of all great WordPress hosting companies and will soon update our other two choices below. According to our experience, we highly recommend InMotion Hosting as our top choice for small businesses and startups. There are a lot of WordPress managed hosting companies out there, and some of them are a lot more reputable than others. Some hosting companies also specialize in WordPress hosting specifically, whether that means they have a dedicated WordPress hosting solution or are entirely geared towards WordPress sites only. In my experience of hosting dozens of sites over the years, there are only a handful of hosts that I would recommend for managed WordPress hosting. Below are my three recommendations. Kinsta is our top choice and recommended WordPress hosting company. Its distinction cannot be explained in few words, but I will try to give you an overview of this company. 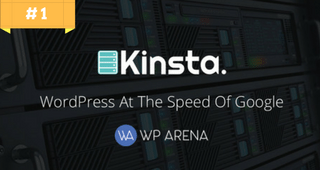 Previously, WPEngine was our top choice for Managed WordPress hosting but soon after the launch of Kinsta, we move towards it. Why? Because they are using the Google cloud platform and are specific to WordPress Managed Hosting only. Alongside, being the best, they are also providing Free Migrations. The best feature of Kinsta Hosting is their daily backups, top-notch security and WordPress experts to provide support. Their price plans are a little bit higher than WPEngine but totally worth it. As you are getting the best WordPress managed hosting with all the required features and support. They don’t cap you on page views and visits. It means you can just have unlimited page visitors for any site hosted on Kinsta. The dashboard of Kinsta Hosting is super awesome. It’s soo powerful and simple that can change your hosting experiences. They are global and provide five different Google Cloud Platform Locations. So, if you are serious about your online venture, I strongly recommend you to test Kinsta Hosting. 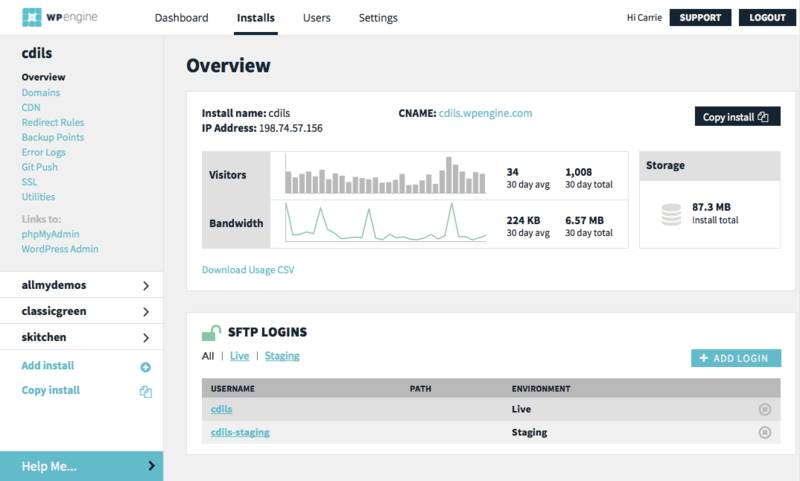 Our second top choice for WordPress hosting is WPEngine. 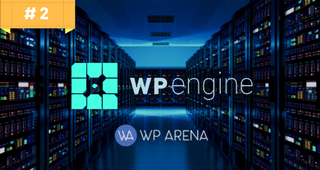 WPEngine provides the best WordPress hosting service, and they were also the first to introduce the concept of managed WordPress Hosting service. They come with excellent service, 24/7 support, regular malware scans, enable CDN, security with a firewall and very attractive price that you can not refuse. Their prices start at $29.99 per month, then go up to $99.99 per month for higher traffic sites, and $249.99 per month for heavy traffic sites. They are more expensive than shared hosts simply because they hire WordPress engineers and have built a rock-solid system to make sure your website is up and running all hours of the day smoothly. What’s more: they take care of security, scalability, and speed. 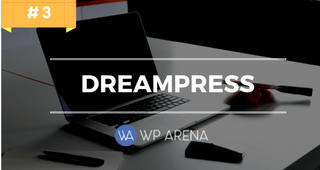 My third choice for WordPress Hosting is DreamPress. DreamPress also managed to get a proper space in WordPress Manged Hosting World. They have a 1-click WordPress install function right in the dashboard which makes it easy for anyone – even a beginner – to install WordPress in minutes. You can get your site up and run in no time. Even WordPress themselves recommend Dreamhost on their recommendations page. Given their track record – though not as reliable as Kinsta or WPEngine’s with little bouts of downtime – DreamPress service is solid for a WordPress Managed hosting environment. Web hosting service is integral to your cause if you wish to set up an enterprise on the internet domain. Every such customer who wants to set up an online venture is on a look out for the best web hosting service out there which would supplement his or her needs with adequate services in the most affordable manner. InMotion Hosting is one such web hosting service which carries the reputation for being one of the largest web hosting services in the world which happens to be independent. In this blog, we bring you a detailed analysis of the ups and downs offered by the InMotion web hosting service so that you can be more decisive while choosing a web hosting service. Firstly, talking about the hosting performance, the InMotion web hosting services provide an excellent uptime of over 99.99 percent which is remarkable. Such a high uptime ensures that your website gets an uninterrupted service which in turn provides that the things keep on flowing smoothly. Securely storing the web files on a server and at the same time, allocating them to every single visitor who visits the website at such an excellent time is a statistic which is remarkable in all senses. Speed is another determining factor when it comes to analyzing the robustness of a web hosting service. InMotion fairs well when it comes to testing the quality of its web hosting service based on speed. A measure to analyze the speed is TTFB or Time to the first byte which implies the time it takes for the web hosting service to respond to the demand of the client. InMotion uses solid-state drives for most of its servers which in turn contributes to the high speed it provides. 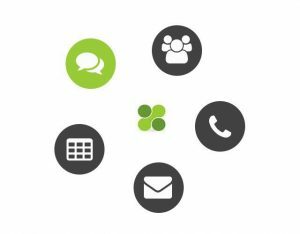 With an efficient as well as a determined customer support, InMotion assists their clients via various means specifically via. Phone or email or even live chat. Apart from that, they have hundreds of articles as well as tutorials put up on their website to address the queries of their customers. The agents at the client service desk are well equipped with all the adequate resources and the technical know-how needed to advise their clients. Apart from that, all the services, be it a phone, email or live chat are equally rapid in attending the customers. When it comes to looking at the control panel, InMotion integrates the control panel they possess directly with your dashboard which assists you in managing your account. 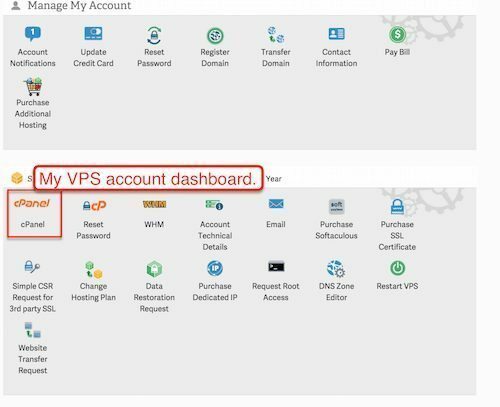 In other words, you can directly access the cPanel with a click. This makes it a lot more user-friendly. With a 90-day money back guarantee as well as frequent data backups, InMotion ensures that their customers get enough freebies and advantages on the side which ultimately strengthens the bond between both. 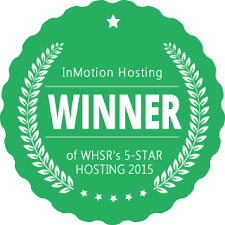 One can clearly take a hint as to how beneficial the InMotion web hosting service. With occasional qualms based on a tad-bit high pricing as well as the limitations imposed on databases, critics have criticized this web hosting service from time to time. But this hasn’t downgraded the reputation of the InMotion web hosting service by any means as it still continues to reign upon its throne. Get 56% OFF by using WPArena.com link below. WPEngine is a dedicated WordPress hosting service provider. It is precisely integrated with word press websites and applications. The WP engine is a dedicated and a well managed WordPress host on the web which offers a lot of essential services to the user. As internet-geeks, most of you out there must be aware of the technical aspects which the WordPress offers behind running thousands of websites all across the globe. WPengine is one such web service provider which primarily focuses on hosting the word press, one of the most popular sites developing means as of now. We would be having a look at the specific functionalities of the WPEngine in great detail in the upcoming sections. The primary reason as to why one might reject the WP Engine would be its cost which is truly sky high. There are four plans presented by the WP Engine to be specific with the most basic one standing at a pricey 29 dollar per month. Should we even mention the other three? What’s more preposterous is the fact that this very basic plan offers or rather supports just one-word press installation and offers just a scarce 10 GB of storage. The only service which is a little bit relaxing is the fact that the plans mentioned above arrive with unlimited data transfers monthly, at more than 50 GB of data. The money back guarantees offered by WPEngine is also very generous. The WP Engine is developed specifically for WordPress, so the installations and the plugins come pre-installed. That’s a definite plus because it spares you a lot of time. The WP Engine environment has very fewer compatibility issues. It’s compatible with a variety of add-ons and plug-ins. Some plug-ins aren’t supported by the company as they cast some adverse effects on the performance of the engine. The very basic fault with the WP environment is that it does not sell your domains, nor does it come with email accounts. For ensuring this, a third party is needed. Security features exhibited by the WP engines are very tight and deployed with extreme cautiousness. Data integrity is laid stress upon when it comes to studying the aspects of WP Engine. Levels of malware scanning and a firewall ensure that your website remains secure against all attacks or threats. The good guys at WP Engine also claim that if your site gets hacked, they will repair it free of cost. Finally, detailing the aspects of customer care at the WP Engine, a user experiences almost negligible to no delay at times you when you make contact with the customer service there. This speaks volume about the dedicated nature of the client service department there which is always ready to serve their customers 24×7 via Email and ticketing support too. Finally, one can grab hold of the conclusion that the WP Engine is pretty much a decent hosting platform supporting the word press’s functionality, but at the same time, one can argue against it on the underpinnings of prices, lack of unlimited accesses and data caps. 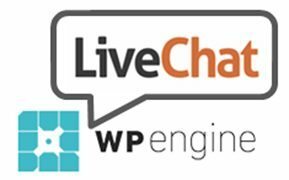 We have covered every technicality associated with the WPEngine. We hope we helped you. Choosing the most efficient web hosting service for your online venture is essential for determining the quality of service provided by your website. Most of the internet hosting services out there exhibit competitiveness on the grounds of the performance they provide, the uptime they guarantee, the resources they supplement you with and the customer support they offer you. Through WPArena, we intend to provide you with a detailed guide to help you in making a wise decision for choosing the appropriate web hosting service. There are various factors which one must consider to choose a hosting company for their WordPress blog. Factors such as price, technical specifications, customer support, additional add-ons as well as many other features are necessary which we would be considering while developing this guide. There are nine important factors that you should take into careful consideration before selecting a web hosting company. Geographical location of the data center: the nearer it is to your site users, the more speed your users will enjoy. Offsite Backup and Recovery: It is an essential factor for you to recover your original data in case of any unfortunate problems. The support or the assistance provided by the web hosting company is crucial as the issues or the queries raised by the customers need to be addressed accordingly. Web hosting services these days are providing support services via. Email facility, live chat feature as well as the ticket systems. 24×7 services are integral to validate the quality of the customer support of a web hosting service. The response time of the client’s support is a major determining factor of the goodness of the customer support. Phone chat features are also integrated into the system of the web hosting service and address your queries toll-free. Almost hosting companies advertise that they have quick and 24/7/365 support but no one knows the fact. So how can you make sure their supporting service is reliable or not? In the case of no emergency, one day after is acceptable. If you send the email on Saturday and no feedback is given until Monday, even they have no contact number, you had better choose another hosting service. One needs to heed the technical specifications provided by a web hosting service to make the best decision. The processing power provided by the web hosting service, the RAM efficiency as well as the disk spaces determine the quality of the technical specs offered to a great extent. If you are provided with excellent technical specs, you must go with that web hosting service without giving it much thought. By these means, your device wouldn’t face many downtime issues and the uptime of your website would be high. Many web hosting services also provide support for additional domains as well as backups. Uptime is the time that servers remain up and running. This is a great measure to determine the hosting quality. However, the problem is you have no way to verify the uptime. If a company provides 99% hosting uptime, then they will have 1% downtime. It means for a week the server will be down 1 hour 40 minutes 48 seconds and three days for each year. Supposing you earn 1000$ per month and the server has 99% uptime, then your monthly income will be reduced by 10$ and 120$ per year. It is worse that the customers and the search engines will evaluate your site unreliably. As consequences, the traffic is decreased and 1000$ per month will gradually disappear. Therefore, I suggest that you should choose the company that offers a guarantee for the hosting uptime of 99.5% or more. Some providers even state that 99.99% uptime of their server helps the site never be down. However, do not put so much trust in them, unless they can make sure to refund the cost of storage in the meantime. When it comes to speed and performance, we think of the hardware which is the necessary element to ensure the quality of web hosting. To determine the overall performance of a site, you must check factors such as RAM, the processor CPU, disk capacity HDD & SSD. In which, the RAM memory and CPU will depend on the content on your website, some assessing customer and types of determining devices. For disk capacity, I think that it is not necessary to use WordPress Hosting with the support of unlimited disk space, 5GB or more is okay. Besides, you can also check RAM, CPU and disk space from your server control panel to have planned for the upgrade of the hosting. If a web hosting service specializes in a particular domain, it assists your venture by enabling it to grow in that specific direction. Most of the specializations offered must depend on the type of enterprise one intends to set up. A small enterprise doesn’t need to specialize in a particular direction. All it requires is to satisfy its customers in every way possible. The most important factor which every person considers in prior to investing in a web hosting service is the rate of the different plans provided by it. Most often, it happens that devices which offer plans which are not very cheap provide you with more features. It’s quite obvious as the web hosting services which offer plans at low prices do that by limiting the services which they offer. So, in totality, there are several features you need to take into account while choosing a web hosting service. These factors have been covered on this page in-depth and aim at assisting you in making a wise decision while choosing the web hosting service. Are you looking for WordPress hosting for your blog? One of the first decisions to make when you want to self-host WordPress blog is which hosting service to use. There are a lot of options to choose from and each comes with its advantages and disadvantages. 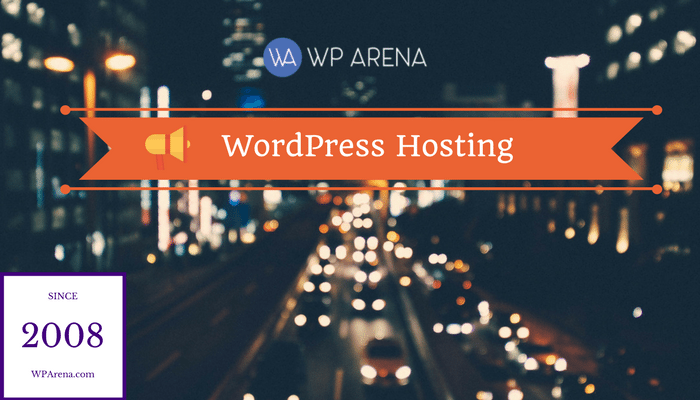 To help you get started with WordPress blog hosting, we are going to take a closer look at the web hosting options for WordPress blogs below. First of all, answer the following questions before selecting a Webhosting company. What is the current web accessing traffic? How do you expect its development in the upcoming time? Do you want your hosting service to be friendly? How much is your budget for hosting service? This guide is intended for beginners and can also be used by experts. We will discuss different kinds of Hosting environments like shared hosting, managed hosting, VPS, cloud hosting and dedicated servers. Let’s look into the next WordPress Hosting option, i.e., Shared Hosting. As the name suggests, Shared Hosting shares a web hosting server among multiple users. The main goal is to keep the cost of hosting your blog at minimum. It is the cheapest packet. However, it comes with limitation and less flexible configurations than other types. Shared Hosting is a reasonable solution for businesses, information websites and blogs. Especially, it is very suitable for beginners or inexperienced users in blogging. This hosting service is composed of multiple sites on the same server. So if your site or another site on the same server has high traffic, then remaining sites will be down. This is not a good choice if you’re building a commercial site and high traffic. Make sure you have enough storage space for your blog. A basic shared hosting plan can come with anything from 500MB to unlimited storage space. The same goes for monthly bandwidth. The amount of traffic that your hosting account can handle depending on the allocated monthly bandwidth. Unlimited bandwidth is always the way to go, but be sure to check if there are hidden limitations before deciding to make a purchase. At least 1 MySQL database is needed to run a WordPress blog. Support for PHP is also essential. Most shared hosting plans come with these features included. The best ones even offer unlimited MySQL databases, allowing you to set up multiple WordPress blogs with ease. If you are planning on hosting multiple WordPress blogs, be sure to select a shared hosting plan that supports multiple add-on domain names. Similar to the previous features, there are shared hosting services that offer unlimited add-on domains. The obvious disadvantage of using a shared hosting plan is its performance. 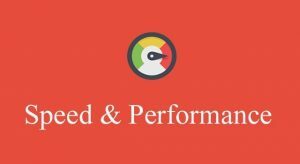 Since the server is shared with hundreds – even thousands – of other websites, you can’t expect the full performance of the server to be at your disposal. Reseller Hosting is very similar to shared hosting with one main difference that you can set up multiple shared hosting accounts with a single reseller account. The amount of space, monthly bandwidth and features you get with reseller hosting is usually higher as well. Reseller Hosting is useful when you are hosting a large number of WordPress blogs. You can set up a separate account for each blog, have multiple server and blog administrators working on individual sites and keep everything separated from each other. You can expect to get better performance from your Reseller Hosting Account. The server is shared among fewer users, allowing your websites to perform better under heavy load. VPS or Virtual Private Server is another very good WordPress blog hosting option for you. VPS Hosting is designed according to your demand. With a virtual server, you will have full access, data control center of servers and a series of virtual hosting packet depending on RAM, CPU, HDD capacity. Whether you choose any virtual hosting packet, you can still switch whenever you want. You can also modify the components of the server according to usage. However, if you do not have a deep technical background, there is a possibility that you will make it worse with innocent settings. The VPS Hosting will clear your concerns about a slow or overloaded server, as long as you ensure that there is enough resource for it. This hosting service fits intermediate level bloggers or developers with specific purposes. It is a bridge between shared or reseller hosting and a fully dedicated server. A physical server is still shared among several users, although the ratio is much Much smaller as compared to shared or reseller hosting. On top of that, server resources are virtually allocated to each account. If you get a VPS hosting with 2GB of RAM, for example, you are getting 2GB of RAM assigned to your account. Other users can’t use that allocated amount of RAM. As a result, VPS hosting offers the best balance between performance and cost. Sounds good? Don’t get too excited just yet. Most VPS hosting services are marketed as unmanaged. This means you have to set up your VPS account before you can start hosting WP blogs. Fortunately, there are easy ways to do this. Digital Ocean, for instance, offers ready-made images for WP bloggers. The virtual server, known as Droplets, can be set up with WordPress ready for use. You still need to update the server, do routine maintenance and perform other administrative tasks yourself to keep the site running at maximum performance. For a site that has a large number of visitors or run custom codes that require maximum server performance, a dedicated server is the (only) way to go. Dedicated servers are servers that you can rent out from hosting companies. You do not have to worry about memory, processor and disk space because all of them is yours and the website will never be slow. The Dedicated WordPress Hosting brings you a lot of benefits such as high performance, stable email, security, ease of control etc… However, due to the high cost of the hosting packet, it usually is used for heavy traffic websites. There are multiple server specifications to choose from, giving you limitless possibilities. With dedicated servers, no WordPress blog is too large or too complicated. The technology behind dedicated servers will enable site owners to choose from a large number of options. You can opt for SSD storage to harness maximum performance. For sites that need ample room, there are cheaper RAID HDD options as well. The same can be said for processors, the amount of RAM and even network cards and options. The downside? Dedicated servers are usually expensive. You are renting out an entire server after all. Cloud hosting is a little bit different than traditional hosting. Instead of using a single server, your site is hosted on a cluster of servers. Amazon has an excellent cloud hosting service that is designed to work with a wide variety of web applications, including WordPress. Cloud hosting offers maximum reliability. 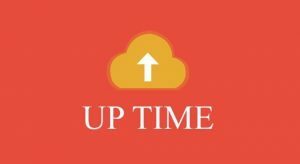 Since the site is not hosted on a single server, uptime can be maintained at a significantly higher level. Cloud hosting services are also considered better regarding performance, especially when compared to shared hosting services. Even better, you can expect to get more storage space for less with cloud hosting. On the other hand, secure cloud hosting services are not easy to set up or maintain. You need to know your way around connecting multiple cloud services before you can have your WordPress blog hosting. 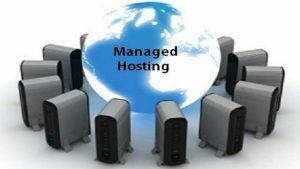 Managed Hosting is the best choice for your WordPress website because the Managed WordPress Hosting offers you following benefits: Fast Speed blazing, Security, Automatic Backups, Updates, Better Support, Better uptime and Scalability which are all useful features, however, the price is very appropriate. You do not need to pay attention to techniques apart from improving and adding contents to build more wonderful site. Whichever host you end up choosing for your WordPress blog, I highly recommend you do not go with cheap and simple cPanel Shared providers since I’ve had terrible experiences with them or know how unsatisfied my friends have been with using them. What does 99% hosting uptime mean? If your hosting company provides you an uptime of 99%, it means that 99% of the times your website will be available online. The 1% downtime accounts for the time in which your site won’t be available online. 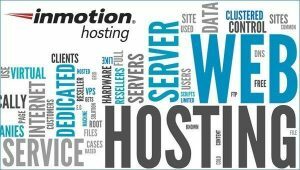 How many websites can I host using dedicated server by InMotion hosting? Using InMotion hosting, you can host as many websites as you want. There is no limit on the number of websites one can host using dedicated server by InMotion Hosting. Does InMotion hosting offer any backup services? HDD drives with large capacity are usually used as backup with a monthly fee. Moreover, it also offers Managed Hosting Team Script as a unique backup solution. What kind of customer support is available for WordPress hosting? 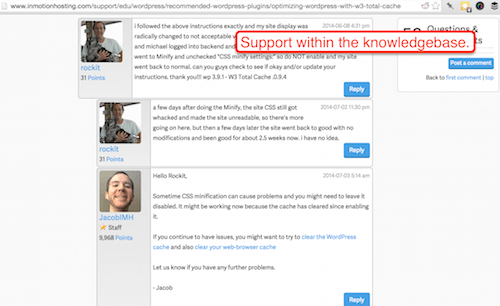 WordPress Hosting companies offer customer support via email, phone, and live chat. Customers decide how they want to communicate. Is WP Engine worth its price? Compared to the rest of the market, its packages are expensive even though it does not offer any additional service. 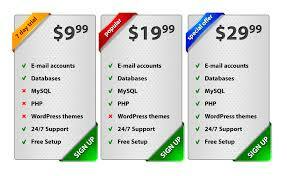 WP Engine also offers a money-back guarantee to aid the customers. How safe is WP Engine? WP Engine provides malware scanning and firewall that protect websites against malicious attacks and threats. When it comes to data integrity, WP Engine can be fully trusted. What is shared hosting used for? If you want to utilize a single server for multiple sites, shared hosting is for you. There is, however, a limit to the number of sites you can run on a single server. This is usually defined in a hosting package. What is the difference between shared hosting and reseller hosting? The key difference between the two type is the ownership. Shared hosting is meant for the owner who uses it whereas reseller hosting can be sold to another owner and hence has two owners i.e the owner who bought it originally and the owner to whom it is sold to. What do we use reseller hosting for? Reseller hosting is ideal for freelance developers who host multiple client sites and startup owners. Once bought, the owner can relocate the resources to other clients within no time. What kind of hosting should I use for my WordPress site? Managed WordPress hosting offers the best package for a WordPress site as it provides automatic backup, reasonably good speed, and good support.